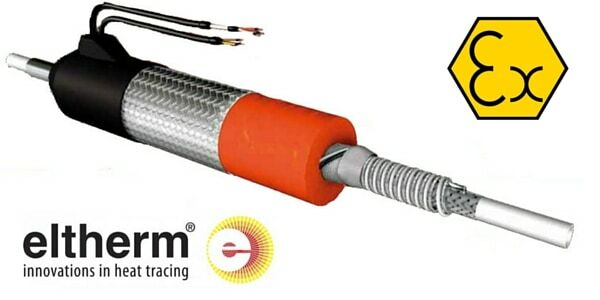 Eltherm ATEX heated hoses are suitable for transporting gas and liquid from the point of withdrawal to an analytic measuring device – when the temperature is up to 200ºC in explosion-proof areas (zones 1 & 2 gas and zones 21 & 22 dust). Each ATEX heated hose is specifically to meet the users requirements and is certified by CE declaration of conformity. Areas of application include process control and control systems, monitoring of ventilation and air-conditioning, emission monitoring, prevention of condensation and lower dew point deviation in industries such as chemical, petrochemical, pharmaceutical and cement etc.